If you are looking for colorful, free printable multiplication charts,download the pdf file by clicking on the link below. 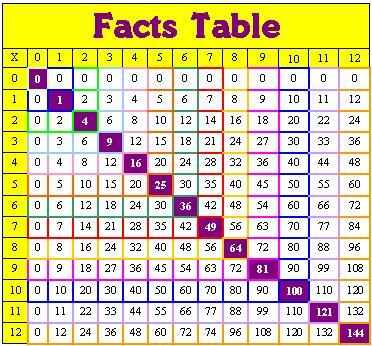 This multiplication table pdf file contains 1 page with four small printable multiplication charts, one page with two medium multiplication facts tables, and one page with a full size printable multiplication table. In addition, you will find three additional pages with free printable 100s charts for use in your classroom.